PROBATION VIOLATIONS ARE SERIOUS. If you are found in violation, the judge can sentence you to jail or prison for the maximum sentence of your original case. If you were placed on probation in Los Angeles County and are now accused of violating your probation you are likely facing serious consequences. It is crucial to speak with a qualified probation violation lawyer who is experienced in the County courts. Call The Law Offices of Jerod Gunsberg before the situation gets any worse. Get Probation Reinstated. If you failed to complete a required class or the required number of community labor (Caltrans) hours, in many cases, we may be able to help you get an extension and your probation reinstated. We can present information and a plan to the court and prosecutor that will help you get back on track. A judge can put you in jail before the hearing. If a judge feels that you will not show up to court or that you a risk to the community, he can remand you into custody (jail). If it’s a misdemeanor, the judge is required by law to set a bail (but it could be a very expensive bail) . If it’s a felony a judge can remand you into custody on a no bail hold. Again, this is why you need an qualified lawyer to represent you. 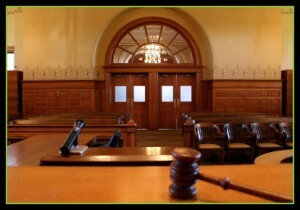 On a misdemeanor probation violation, you need a lawyer fighting to get you a reasonable bail. If you have been arrested on a new case. In many cases, prosecutors try to use a probation violations to keep a defendant in jail or force someone to take a bad deal on the new case. It is critical that your attorney understands how to deal with Los Angeles County Prosecutors and knows what’s realistic and what’s not. Arrest on a New Offense: If you are arrested on a new offense while on probation, the prosecutor will likely ask the court to find that you violated your probation. Even if your new case is dismissed or reduced to a minor offense, the judge can still find that your conduct amounted to a probation violation. Once again, this is why you need a criminal defense lawyer who knows what he or she is doing when defending a probation violation.